Why do you need trip protection insurance? Is buying Trip insurance worth it ? A trip is meant to be enjoyable and fun, to ensure that it remains so, you need to insure your tip. Anything adverse can happen to disrupt your travel, and trip protection plans by Seven Corners are desiged to help you deal with these disruptions with ease. You have spent a lot of money on your airline tickets and hotel bookings, but just before your travel you or a family member fall ill forcing you to delay your travel. Any delay or interruption to your travel can be very expensive. You can fall sick or even have an accident during your travel and need emergency medical service. You need to be evacuated to a facility with the required healthcare facilities for you in the event of a medical emergency. You loose your baggage or passport, or your baggage is damaged. One of the affordable travel investment protection plans offering basic coverage at cheapest rates. Trip protection plan offer a wide range of extra options at good prices to get more coverage if required. Travel insurance offering maximum protection for trip investing expenses which includes sports trips and trip cancellation due to work reasons. Exclusive trip protection coverage for Non US residents for trip less than 30 days. Compare and review trip cancellation insurance to find the best trip insurance plan for your needs. Compare trip protection insurance plans by Seven Corners; Round Trip Choice, Round Trip Economy, Round Trip Elite plans. What is the eligibility to buy Seven Corner trip protections plans? Any traveler who is not an US resident and travelling outside his/her home country for less than 30 days. How do trip plans protect ones travel investment cost? There are only some predefined list of conditions for which the trip was cancelled, interrupted, missed or delayed only for which the trip expenses are covered. If the conditions are not satisfied, the plans do not offer reimbursement. What are non-refundable and pre-paid travel investment expenses? The expenses involved while planning the trip like flight charges, hotel bookings and other costs included or invested in the trip itinerary which will not be refunded in case the trip is cancelled, delayed, missed or interrupted. There are plenty of amazing destinations around the world that people would want to visit during their lifetime. 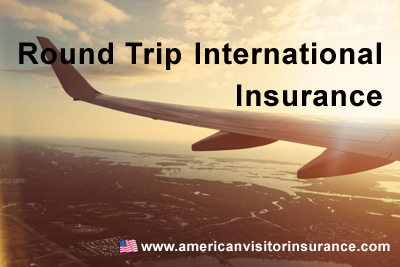 Ensure that your travel is fun and safe with good trip insurance.